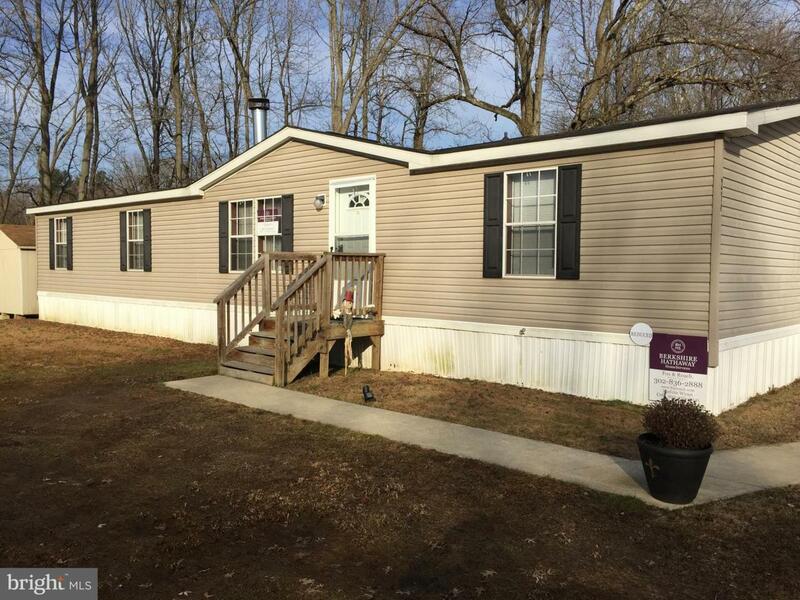 This wonderful well- kept mobile home with a spacious open floor plan, high ceilings, 3 bedrooms featuring 2 full baths, master bedroom with private oasis bathroom, Home features large living room with wood burning fire place. Kitchen features spacious counter-tops, plenty of cabinets, pantry, complete with appliances and breakfast bar that overlook the dining area. A porch deck in the comfort of your home, you will want to see this home today! Lot rent 683.50 includes snow removal, trash, sewer and water. After the acceptance of an offer, the new owner is required to submit an application (40 dollar non refundable app fee) to Reybold Homes. The home comes with a Home Warranty Service Agreement and the seller will pay the first months lot rent.